Inter-phase voltage: 45V AC up to 600V AC. Signal Frequency Range: 45Hz to 400Hz. 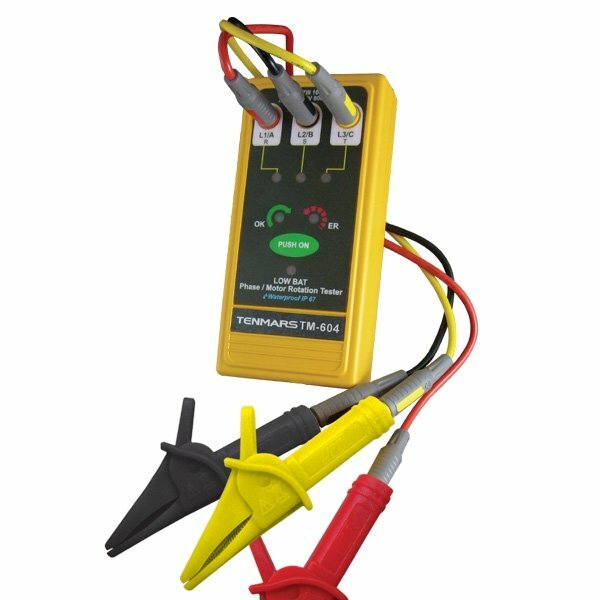 Test Currents inter-phase less than 3.5mA. Two UL 500mA/700V fuse protection. Phase sequence testing. Three phase motor installation and maintenance. Check motors for rotation direction. Identifies the phase sequence of three phase electrical systems. Indicates normal or reversed phases as well as loss of phase.